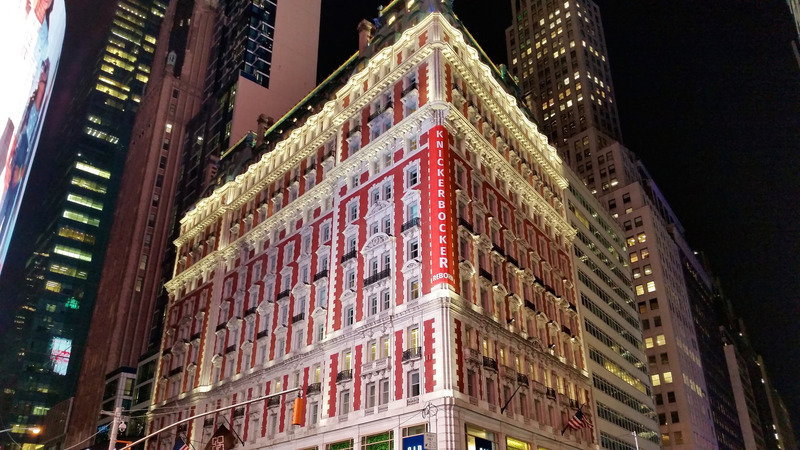 Capalino+Company represents a partnership between Highgate Hotels and FelCor Lodging Trust which owns the historic Knickerbocker Hotel located in the heart of Times Square. This landmark building recently reopened with dramatic fanfare after undergoing a massive renovation. Capalino+Company’s efforts helped pave the way for Highgate Hotel to reopen “The Knick” as a hotel for the first time in 100 years, continuing the legacy of this classic New York landmark. NEW YORK, Dec. 2, 2014 — Enviably situated on the corners of 42nd Street and Broadway overlooking the heart of Times Square, The Knickerbocker Hotel will open its doors February 12, 2015, revealing an elegant, urban 330-room hotel that pulses with the energy of contemporary fashion, flavors, fitness and finesse. Originally opened in 1906 by John Jacob Astor IV, The Knickerbocker has witnessed and influenced more than a century of New York history. As the rumored birthplace of the original martini and the first hotel to offer a multidimensional lifestyle experience, the legendary Beaux Arts landmark will infuse its storied past with the rhythm of modern New York. A member of The LeadingHotels of the World, The Knickerbocker will provide the best of everything New York has to offer. Having commissioned leading architectural and interior design firm, Gabellini Sheppard to oversee the hotel’s design, The Knickerbocker’s interiors will reflect modern day functionality and contemporary design, creating an urban sanctuary for guests and local clientele. All 330 guestrooms, including 27 Junior Suites and four Signature Suites, will provide a sleek and contemporary, customized layout, outfitted in bespoke furnishings. From state-of-the-art technologies, to exclusive bath amenities and in-room salon services from celebrity hairstylist Ted Gibson, guests will discover all the comforts of home at their fingertips. The Knickerbocker has partnered with one of the nation’s most recognized master chefs, Charlie Palmer, to debut several exceptional dining venues and ensure a sophisticated level of taste throughout the hotel. Guests will have the option to dine at Charlie Palmer at The Knick – the hotel’s full service restaurant and bar; JAKES @ The Knick – a coffeehouse and artisanal cafe; and St. Cloud – one of the most magnificent rooftop bars in New York City, complete with a signature cigar lounge from celebrated tobacconist Nat Sherman. In addition, priority access and preferential treatment will also be offered to hotel guests at Palmer’s flagship restaurant Aureole, located just across the street from The Knickerbocker. To learn more, please visit www.TheKnickerbocker.com. Stay updated on news and happenings at The Knickerbocker by following @TheKnickNYC. Sign up for Capalino+Company’s weekly newsletter here to keep up with the latest news in New York.